Yay our drought has broken! It has rained for three days; everything has greened up and growing like triffids. Today for SundaySketches I decided to keep with the watery theme. It was really misty yesterday morning and the sun was trying to break through the sky creating this lovely pinkish atmosphere. This sketch is not so successful, but I love how the sun can shine through the rain and highlight a bit of the landscape. Er, um, why did I paint this? Must have been a leftover from my purlow (purple yellow) challenge at APR! Anyway they are some post tops in my neighbor’s garden drastically changed by me. I thought they could be people? The last is a close up of the now sodden and dying Mexican sunflowers that are overtaking my garden! I had been meaning to paint them for the last couple of months. This picture is gouache as I thought the yellows would be stronger. Alas I mess up the background and so tried to save it with chalk pastels. This week I discovered a blogger that has inspired me – Michelle (Ruess) Remy of http://lostcoastpost.blogspot.com. 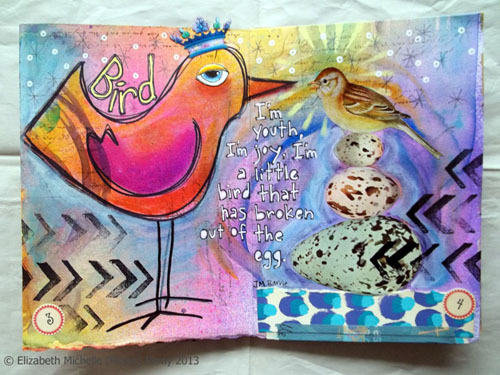 She is whimsical, talented, uses bright colours and does marvelous journal pages. So check her out. Have a wonderful creating wonderful art blessings to you all. 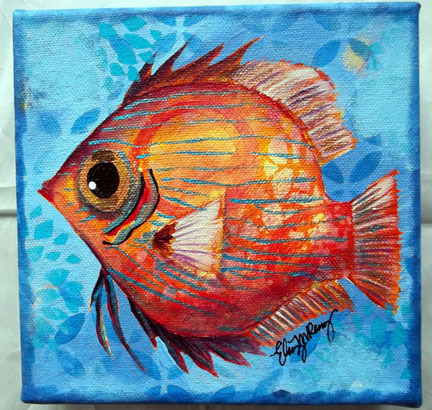 Love your sketch paintings! And the sunflower!! Try having lighter backgrounds next time? You comment a lot that you messed up the background. Maybe time to try something new? Michelle's stuff is fantastic! Thanks for sharing her with us! I will totally head on over and check her out! I love your colourful pieces today - I don't think you messed up the background of the sunflower at all - I really like it! Thanks for sharing your new blogger finds with us I love this one! wow, you have been busy and everything looks great, especially the lovely sunflower! great job and happy SS! Thanks for the link to the lost coast blog, Sharon. She inspires me too. And I really like your sunflower! Everything looks amazing!!!! love these pieces you showcased!!! I really like your water-y work! Thanks for sharing and introducing Michelle. I look forward to checking it out. lovely assortment of work this week Sharon! I like your work a lot, so I became a follower of yours. Thanks for the link to Michelles page, too! 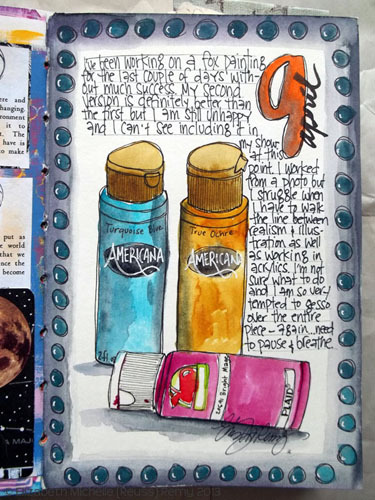 inspiring post - I love watercolors! I happen to like your sunflower - they are my favs! Such beautiful work, Sharon. I particularly love those landscapes...wonderful sensitivity to color and atmosphere.